Yume Nikki has made its debut on the Steam store, so we look back on what made the freeware game such a cult hit. Long ago, I etched "yume" next to the name Caty, faux-immortalizing my love for the Japanese freeware game Yume Nikki that released back in 2004. Yume Nikki, which directly translates to "dream diary," was now bafflingly "dream Caty." I guess I didn't care. This was to be my online handle until I die now. In retrospect, I don't regret it. Now that I'm verified on Twitter, I'm stuck with it for as long as I can muster now. (If I changed it, I'd lose that blue checkmark. So it goes.) Even as my tastes have changed, my favorite games of all-time becoming mighty cluttered, Yume Nikki has always been near the top (if not, sometimes regarded as on top). Yume Nikki is the rare game I've played through dozens of times, partially because when I was a teen I couldn't afford games and good free ones were hard to come by. But also because of the game's notorious mysterious origins and its unique structure (it's commonly called an "RPG," but that's only because it was made in RPG Maker), I thought I could dig up new secrets from it like an archaeologist. I never really did. But my love for the surreal game grew. Last night, Playism published Yume Nikki on Steam, its first time on any official storefront in the west. It's been over a decade since the game was last updated in 2007, but it's managed to live on, even as its anonymous creator Kikiyama peaced out of the internet and seemingly game development too. Even with that absence, manga and light novel adaptations have been written. Merchandise materialized. 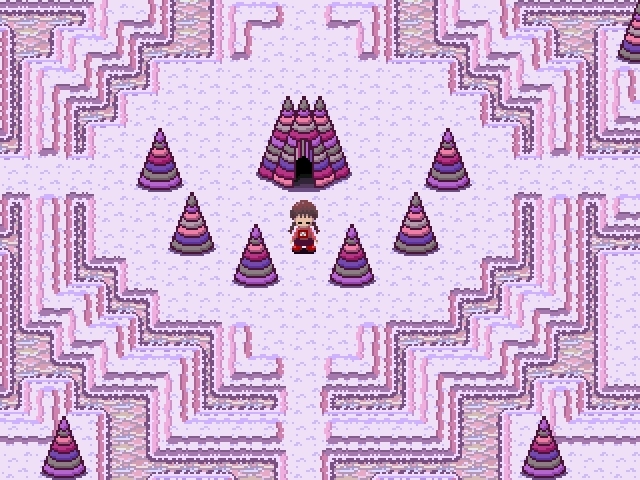 Yume Nikki expanded beyond just being a cult phenomenon in the corners of the web. On the surface, Yume Nikki is an early independent game that resonated with audiences across the world; its impact travelling far beyond the confines of Japan thanks to the World Wide Web. It's not the first Japanese game to do such a thing—around the same time the now-classic platformer Cave Story had success in a similar, albeit much larger way—but it is still one of the earliest examples of an independent game being a hit at any level due to word of mouth. Yet Yume Nikki is not like most games. It's not straightforward in anyway. At its start, you wake up in a claustrophobic bedroom. It's kinda messy. There's a Famicom-esque console by the television. If you try to leave the room, your character (a girl named Madotsuki) shakes her head. It's not that she can't leave—she doesn't want to. You assume she gets anxiety about the outside world. So she stays inside in her own cozy little world, tucked away by her very not cozy dreams. That's where the game starts. Yume Nikki, in concept like the PlayStation title LSD, is a disorienting game about navigating dreams. 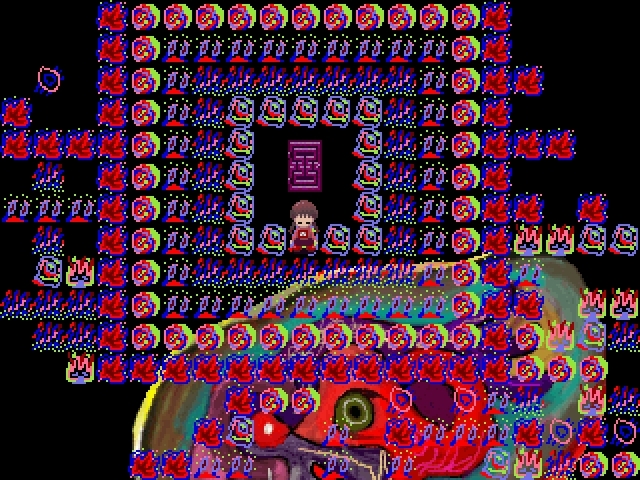 When in Madotsuki's eerie dreamworld, you can enter doors, travel across increasingly surreal levels, and collect 24 "Effects" which change her appearance. Effects vary from getting a maybe-deadly knife to a bike that increases your speed. Some Effects have practical use when interacting with one of the many dreamworlds, like a hat and scarf letting you become a snowman in the Snow World. Others are for pure cosmetic reasons. There's not really any goal beyond that. Yume Nikki is a game about wandering around organically, discovering new things, and hopefully attaining some strange gear to help you along your journey. When you collect all 24 Effects, you're rewarded with the game's final scene. There's no story. Just exploration. I can't speak for the thousands of fangame creators out there, or the diehard fans who ravenously play it to this day hoping to uncover more secrets. But I can speak for myself and why it touched me so long ago, and stays at the forefront of my mind even today. Back when I first played it, I'd never experience an interactive piece of entertainment, game or whatever else, that experimented with its structure, its tone, and tackled its topic of depression and the resulting loneliness with such courage before. As someone who suffers from both of those things, it was the sort of game that made me feel really seen for the first time ever, even with its harrowing end. 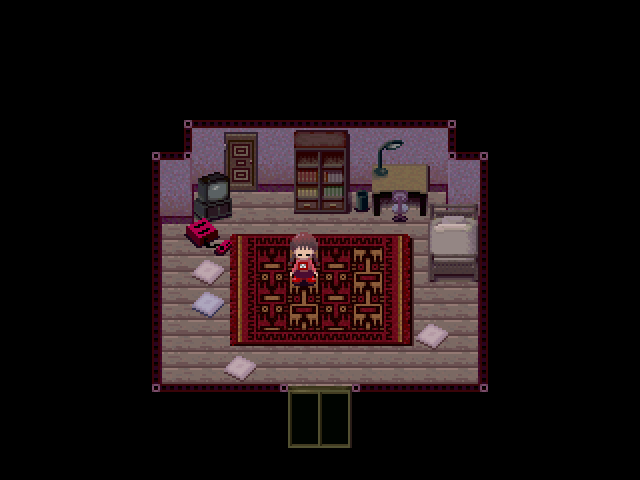 Yume Nikki communicates loneliness visually and mechanically, transcending any barriers that could be had by language (the game, technically, was once only playable in Japanese, but there are not many words in it anyways). For me personally, it was the first game of its kind to do so. 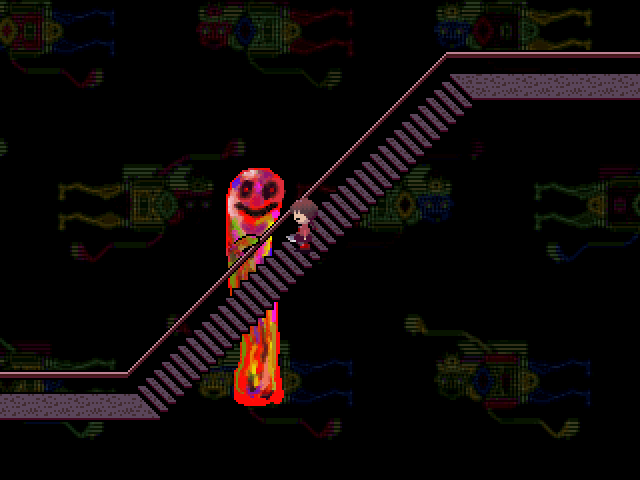 Game designers have sang their praises about Yume Nikki in the past. "The lack of dialogue or any 'action' fills me with this strange sense of dread," Spelunky creator Derek Yu writes on TIGSource in a blog from 2008. Omori, a successfully crowdfunded game from artist Omocat (full disclosure: I backed it, long before I was in the games industry myself) is due for release this year on multiple platforms, and has been compared to the likes of Earthbound and Yume Nikki. Whether you knew of the game or not, Yume Nikki's influence has always been around games, bubbling below the surface. 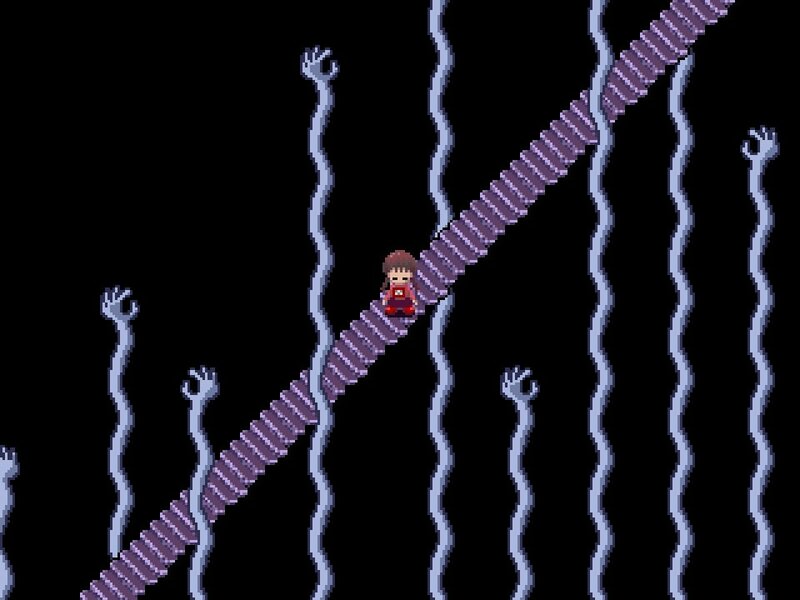 Shockingly, this isn't the end of Yume Nikki. This surprise re-release isn't the game's last hurrah; its final gasping breath to its largest potential audience ever. Even if the fandom has been kept barely alive with miscellaneous manga and light novel adaptations, and its dwindling fangame community, Yume Nikki apparently lives. As for me, I can't help but feel a mixture of emotions at the news: extreme apprehension and effusive excitement that's probably frowned upon as a writer in the games press. Here's to hoping for the best, even if the hype buries us. Tagged with Analyses,	Indie,	Kikiyama,	RPG Maker,	Steam,	Yume Nikki.